Availability:Discontinued - please do not order. The Plantronics Blackwire C420 binaural (dual ear) portable headset provides leading edge sound technology for the everyday user. Designed for extended wear, this durable headset provides the freedom to experience PC audio, through a high quality headset, anytime, anywhere and comes with a carry case. High-quality PC stereo sound and multimedia are yours, anytime and anywhere, in the office or on the go with the portable Blackwire™ 420 USB headset. 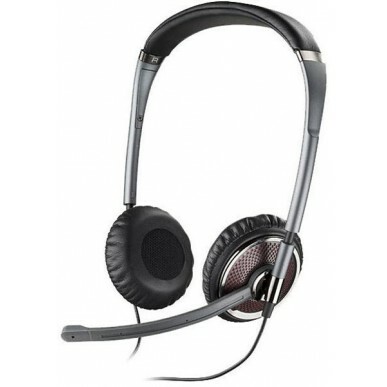 RUGGED, PORTABLE HEADSET FOR ANYWHERE ACCESS TO PC AUDIO, VIDEO, MUSIC, AND CONFERENCE CALLS.